Yes, the quintessential moment of everyone’s first trip to Cambodia, watching the sun rise from a night’s rest over the spectacular ruins of Angkor Wat. 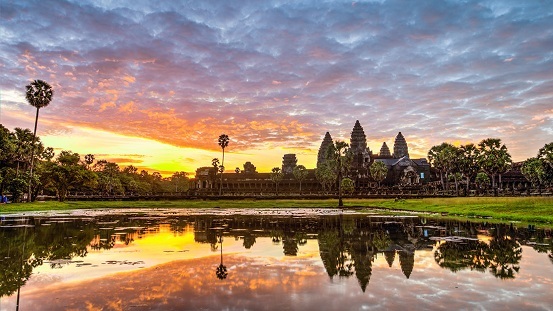 And indeed, this iconic experience is one even the most “off-the-beaten track” tourist will want to have, as the sunrise at Angkor Wat is nothing short of magical. Having the chance to see firsthand the red, purple, and pink hues of the sky enhance the silhouette of the corn-cob shaped prangs until the whole temple’s reflection is visible in a front-side lotus pond will be something that can never be forgotten. Angkor Thom and Ta Prohm are two of the most interesting temples located in the Angkor Archaelogical Park as they are aren’t restored to the same degree as Angkor Wat. The mysterious Angkor Thom is colossal and absolutely breathtaking up close, with its hundreds of carved faces and wide entry bridge flanked by 54 stone warriors. Ta Prohm, affectionately called the “Tomb Raider Temple”, is a sight to behold, as the temple is one of very few to be left in much the same condition as when it was first rediscovered. The trees growing out of the crumbling ruins are the most distinctive feature of the temple, creating an eerie atmosphere of discovery for all travelers who enter. Tonle Sap Lake is the largest freshwater lake in South East Asia. It is also home to approximately 3 million people, of Vietnamese, Khmer, and Cham descent, who make their living by fishing. Located just 15 km south of Siem Reap, the lake is easily accessible to tourists who wish to learn more about the cultures of the floating villages or enjoy discovering a multitude of flora and fauna unique to the region. Cambodia has many opportunities to cruise along the waterways as two major rivers run through the country, the Tonle Sap and Mekong River. It is possible to take a boat between Battambang and Siem Reap on the Tonle Sap River, but keep in mind that it is best to be enjoyed during the rainy season, when the river’s water level is at its highest. The trip take between 8-10 hours depending on season and direction, and offer gorgeous views of small fishing villages an Cambodia’s riverside. 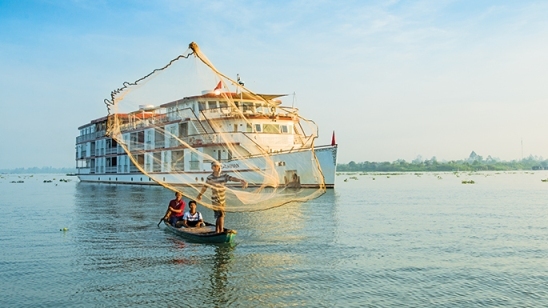 Cruises are also available from Siem Reap to Phnom Penh along the mighty Mekong River, which can give tourists a rare glimpse into river life upon the banks. The Bamboo Train is one of the world’s most out-of-the-ordinary railway experiences a traveler could ever expect to imagine. 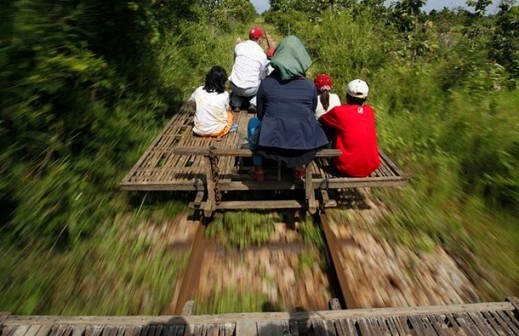 Otherwise known as the nori, the Cambodian Bamboo Train is a large bamboo platform mounted on train axels and powered by a small go-kart engine. Surprisingly, the nori can reach speeds of 50 km/hour (31mph), and is a fun way to experience local life in the area. Cambodia boasts a stunning coastline of approximately 440 km, with 60 islands located in its coastal waters. Popular beach destinations include the gold and white sands of Sihanoukville and Kep, while those who love islands will not be disappointed with choices like Koh Rong, Koh Rong Sanloem, Koh Russei, or Koh Tonsay. In 1975, Phnom Penh fell to the Khmer Rouge, who then completely emptied the city of its population and allowed it to crumble for the next several years. Over the next four years, the population of Cambodia would decrease by 1/3. This genocide is a very important part of Cambodian history, and the memorials at Choeng Ek Genocidal Center (a former Killing Field) and Toul Sleng Genocide Museum are a testimony to this tragic, recent occurrence.